The final Ferrari 250 GT SWB Berlinetta and the unique 1986 Ferrari Testarossa Spider built for Gianni Agnelli are early top entries for the 2016 Artcurial Paris auction. The 1963 Ferrari 250 GT SWB Berlinetta with a pre-auction estimate of €9 – 12 million ($10 – 13.2 million) was the last of the 250 GT model series built and is sold from the estate of Antoine Midy. The 1986 Ferrari Testarossa Spider has an estimate of €680,000 – 900,000 ($750,000 – $ 1 million), as it was the only Testarossa Spider produced by Ferrari. See Also: 2016 Artcurial Paris Auction (Preview: 1957 Ferrari 335 S Spider) for a car estimated to sell for $30 – $34 million! In 2015, Artcurial offered the extraordinary Baillon Collection for sale during the annual Paris Rétromobile classic car auction in early February. The 2015 Artcurial sale grossed €48 / $52 million as the largest single sale ever of collectors cars on continental Europe. The star of the 2015 auction was the 1961 Ferrari 250 GT SWB California Spider from the Baillon Collection. Despite its barn-find, if highly original, condition the car sold for a model record €16.3 / $ 18.5 million – the highest price paid for a car at public auction in 2015 (up to November). Although the next Artcurial Paris Rétromobile classic car auction scheduled for 5 February 2016 is unlikely to achieve a similar result, several very desirable cars are already lined up for this important annual European classic car event. Update: The 1957 Ferrari 335 S Spider by Scaglietti announced early December will steal the headlines if it sells for the pre-auction estimate of $30-$34 million. 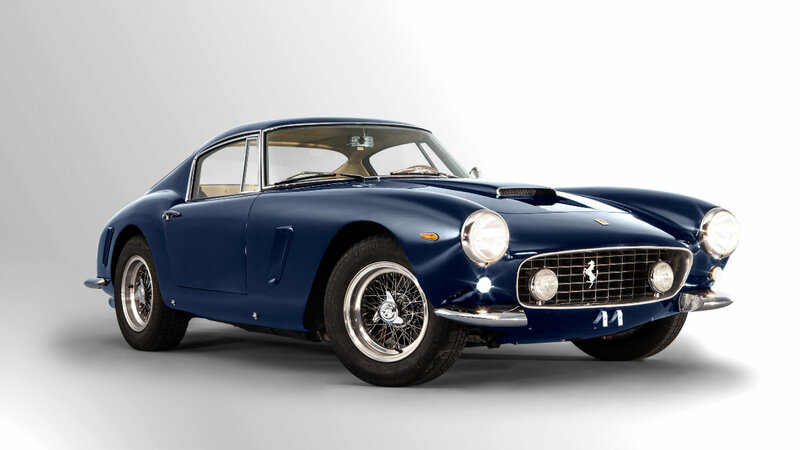 A highlight of the 2016 Artcurial Paris Rétromobile classic car auction will be a Ferrari 250. On offer will be a 1963 Ferrari 250 GT SWB Berlinetta with a pre-auction estimate of €9 – 12 million ($10 – 13.2 million). This was the last example of the model built by Ferrari. It is left-hand drive car with matching numbers. This exceptional Ferrari 250 GT SWB Berlinetta has been in collection of the Swiss collector Antoine Midy since 1989 and is likely to produce another top result. Another very special car on offer at the 2016 Artcurial Paris auction will be a 1986 Ferrari Testarossa Spider. This was the only Testarossa Spider commissioned and built by Ferrari, which explains the whopping estimate of €680,000 – 900,000 ($750,000 – $ 1 million). This unique 1986 Ferrari Testarossa Spider was built for Gianni Agnelli – at the time the president of Fiat (which owned Ferrari). The car is in silver, as a word play of the chemical symbol AG and the first letters of Agnelli. Further unique features on the car include a blue stripe above the black sills and a white hood but these pale into insignificance compared to the obvious fact that the roof is missing. In addition to classic cars, Artcurial will also offer a classic yacht in its 2016 Paris Rétromobile Salon sale. 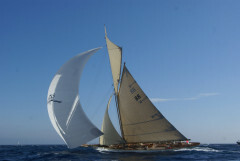 This stylish yacht was designed and launched in 1903 by William Fife III. It successfully raced in period and more recently from its base in St Tropez. Boats have had mixed success at several classic car auctions in recent years making the offering of this yacht without a reserve rather risky. The wide estimate of €500,000 – €1,500,000 ($550,000 – $1,650,000) indicates the rarity of such sales and the resulting limited benchmarks for establishing a reasonable price.